The all new FREE Candies in personal packaging of 33g box! 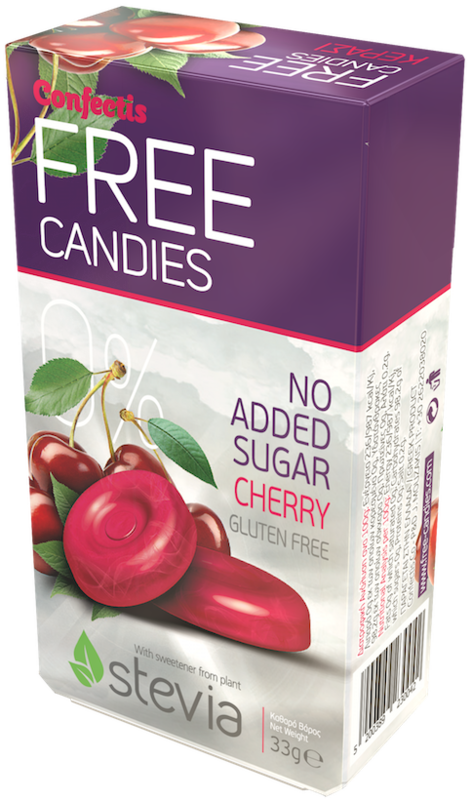 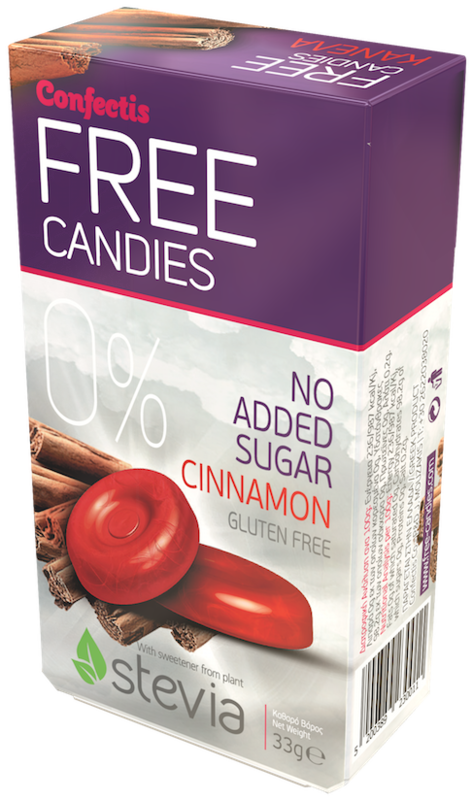 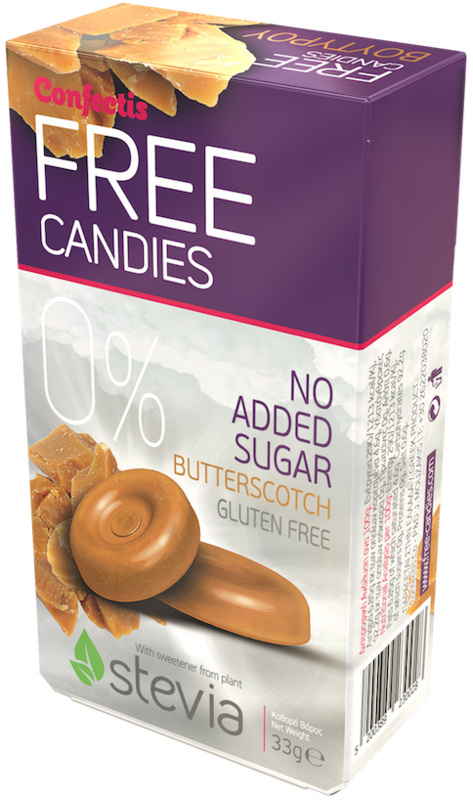 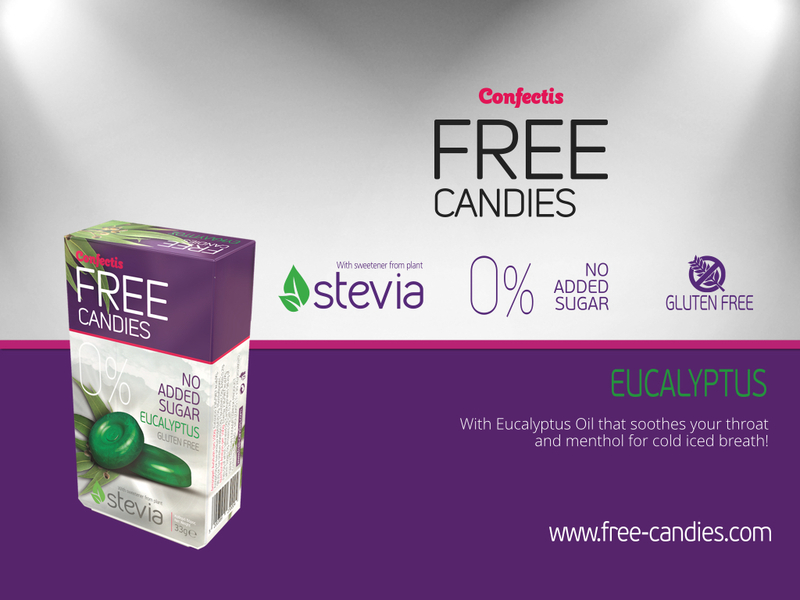 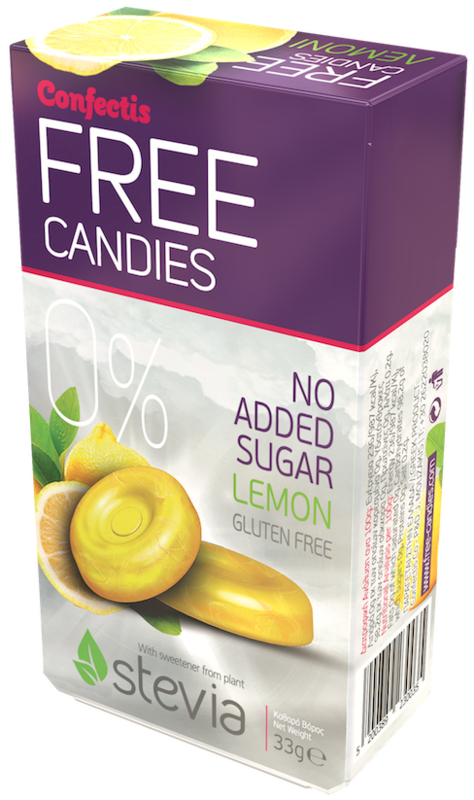 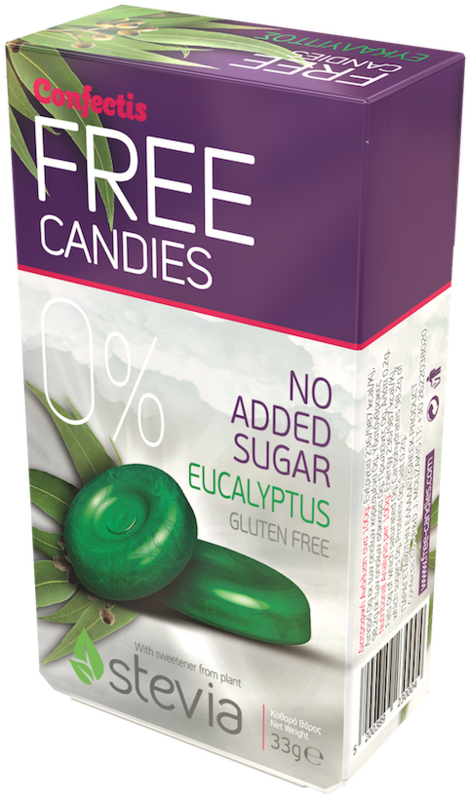 With natural sweetener from STEVIA, 0% Sugar and Gluten free, FREE Candies are here to be your favourite, healthy allday treat! 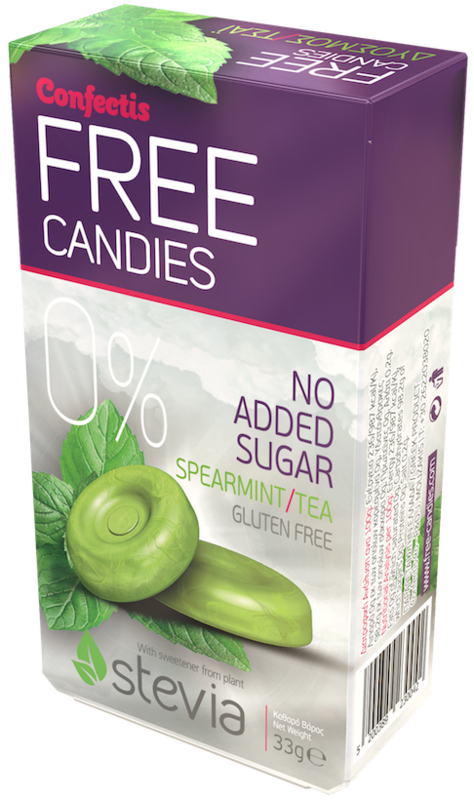 Cool your breath with the refreshing flavour of green tea and spearmint, soothe your throat with eucalyptus and minthol or lose yourself in the explosive, fiery cinnamon feeling! 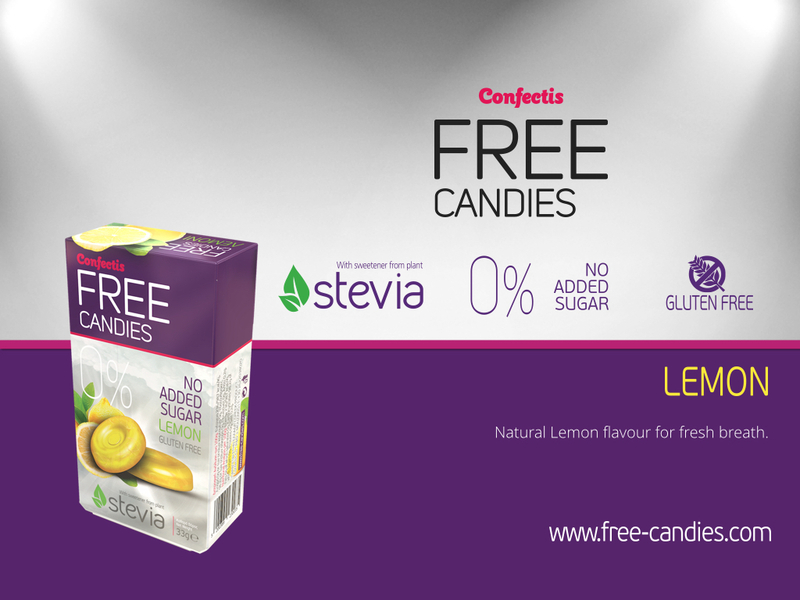 7 great flavours to choose from!